Providing an international freight forwarding service that combines the maturity of experience with the freshness of innovation since 1972. Depots based in Essex and Leicester and offer overnight delivery to the whole of mainland UK via our own fleet and membership of The Pallet Network. Jonen’s own staff and overseas associates have the experience and are fully capable of attending to your needs from negotiation to final delivery worldwide. Jonen are able to provide full container load, less than container load and conventional sea freight shipments to and from every major port in the world. Routings are carefully selected. Jonen’s total commitment to providing the best possible air freight service is unparalleled. Jonen Shipping have direct access to every major airline in the world. 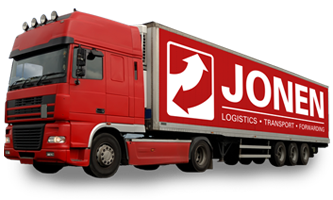 Jonen currently operate 20 vehicles from depots based in Essex and Leicester and offer overnight delivery to the whole of mainland UK via our own fleet and membership of The Pallet Network. Since its inception in 1972 as a subsidiary of a German based forwarder, Jonen have been providing a first class road freight service to / from all areas of Germany. We have tailor-made services to meet every challenge. Just wanted to say we had an engineer’s meeting last week and it was brought up by the engineers that your service is spot on The engineers said you’re always on time and your Drivers are very helpful. Appreciate the service you are giving us.